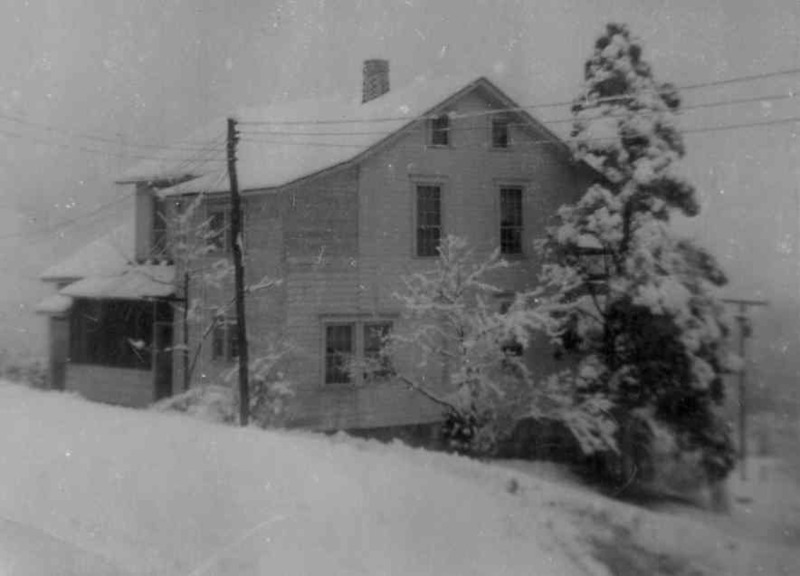 This wintertime photo shows the Southampton Township, Somerset County family farmhouse that belonged to Daniel Korns, Jr., then to John Wilson Korns, then to Allen Korns. This picture was taken when Allen Korns owned the farm. In this photo, the west end of the north-side porch has been enclosed, and the upstairs has been extended over the new enclosure. These changes were done so that the house would accomodate Allen's family, and the family of one of his sons. The new downstairs enclosed area was used as part of a kitchen used by Allen's son's family.